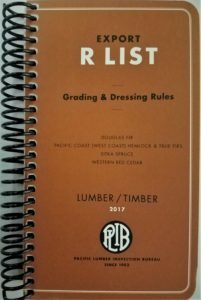 Hot off the press: PLIB’s new 2017 edition of the Export R List Grading & Dressing Rules. 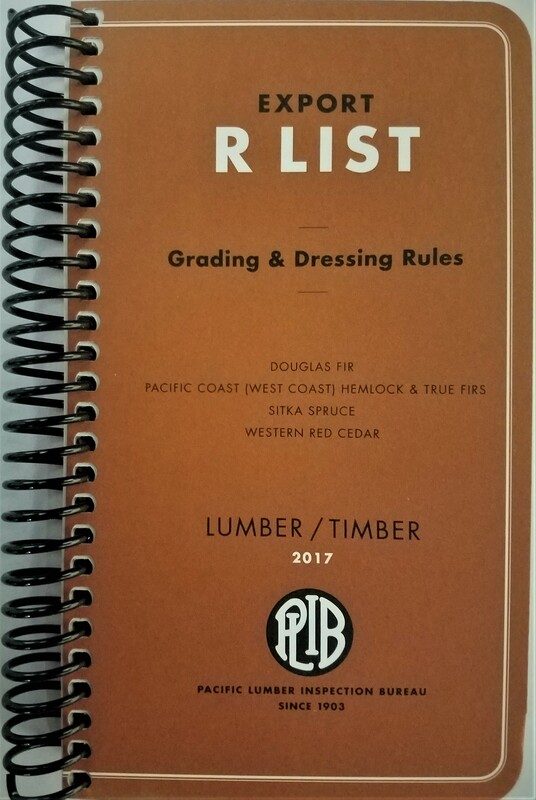 The Export R List Grading & Dressing Rules, first published in 1929 as the ‘N’ List, stands as one of the oldest and most widely used references for exported softwood lumber originating and manufactured in the Pacific Northwest region of the U.S. and Western Coast of Canada. It focuses on the species of Douglas fir, Western Hemlock, Sitka Spruce and Western Red Cedar and includes commonly referenced grades such as No. 2 and No. 3 Clear, Merchantable and Commons, Factory Flitch and Shop. The R List “Interpretations” are included in the book, appearing as a separate section at the back of the book. Some long-standing interpretations have been incorporated into the rules themselves. The book has a new coil binding allowing it to lay flat while still easily fitting into a pocket. Copies of the 2017 edition of the Export R List are $6.00/book plus shipping and can be ordered by phone at (253) 835-3344 (U.S.) or (604) 732-1782 (Canada), email, or online. Credit cards are accepted.